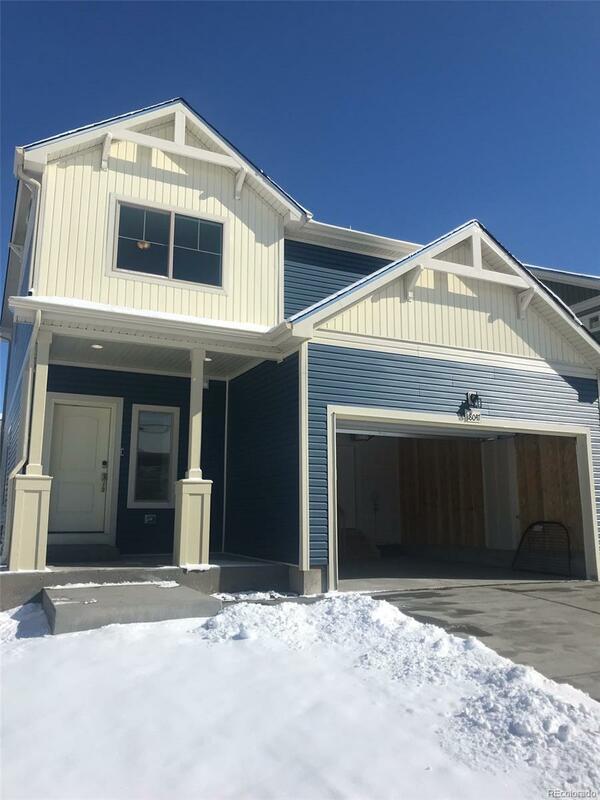 Available Home in our SOLD OUT Park House Community! Welcome home to the beautifully design Platte floorplan! You will love the open main floor which connects the kitchen and the great room for variety of entertaining. The kitchen adds a modern feel with an eat-in Kitchen island, Maple Harobor Mist stained cabinetry and brand new Whirlpool Stainless Steel appliances. Walk upstairs to find your master suite retreat with a spa walk-in shower, double vanity and walk-in closet! Meander your way over the conveniently located laundry room and two secondary bedrooms with walk-in closets! Walk downstairs to the unfinished basement to find 600 square feet to choose how you would like to use! Call us today and come see why we are the builder of choice for Colorado families!